Hey muffins! Today, I'm super excited to bring you my winter fragrance recommendations. Personally, I think that this time of year is perfect for scents that are quite heavy, bold and sweet. Hot temperatures tend to intensify fragrance notes, which means that a lot of the more powerful perfumes can be a little overwhelming in warmer weather. On the other hand, in cold temperatures, fragrances take a little longer to evaporate (meaning that they last longer on skin), giving us more time to appreciate their complexity. My favourite winter perfume notes include cinnamon, vanilla, caramel, amber and spices, all of which feature in today's list. Hope you enjoy this season's recommendations! 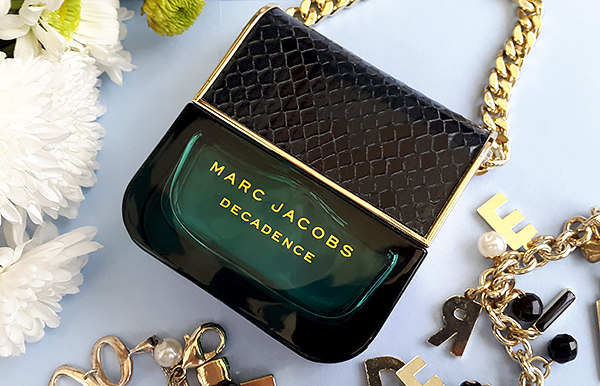 This perfume is a complete departure from the usual girly, sweet Marc Jacobs fragrances. 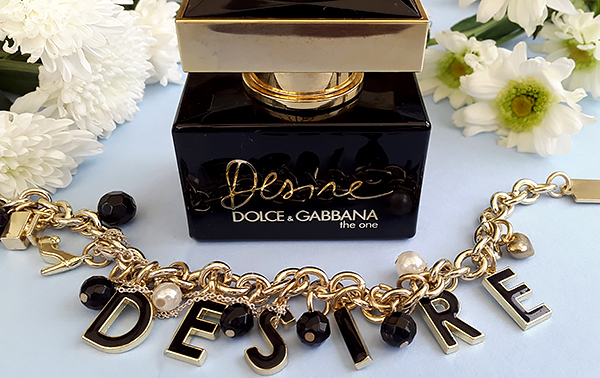 Decadence is a an elegant, seductive scent which combines notes of balsamic amber and dark fruits. There is also a hint of caramel and honey to it, which adds a little sweetness to the overall composition. I was positively surprised by how grown-up and elegant this fragrance really is - it's worlds apart from the typical Marc Jacobs scents such as Daisy or Lola. 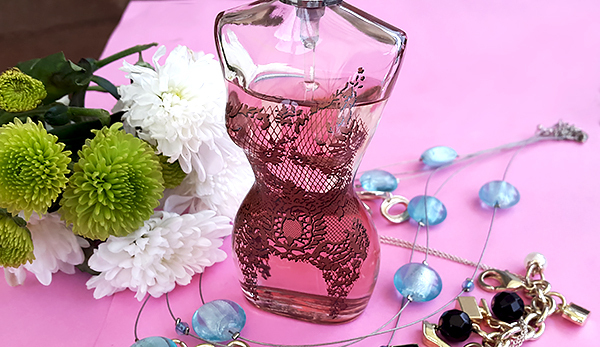 If you're interested in this perfume, make sure you check out my full review here! Try this if you like: Dark, mysterious, seductive perfumes such as Crystal Noir by Versace, or Coco Noir by Chanel. This has been my 'signature' winter fragrance for a really long time, and I always get a lot of compliments on it. 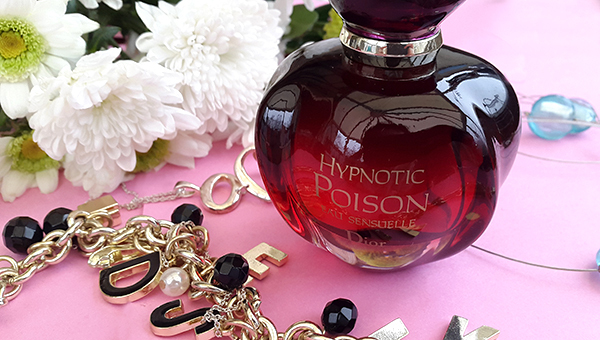 Eau Sensuelle is a softer version of the original Hypnotic Poison from 1998, which is widely regarded as one of the best perfume classics of all time. 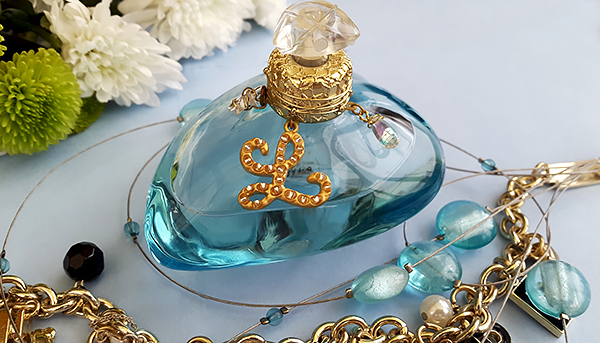 Eau Sensuelle combines oriental notes of vanilla, dry sandalwood and powdery orchids. It's very feminine, soft and a little 'milky', without being overly sweet. If I had to compare it something, I'd say that it smells like vanilla ice cream and a big bouquet of fresh orchid flowers. Try this if you like: Sensual, feminine perfumes such as Amour by Kenzo or Allure by Chanel. Despite not being a huge fan of the bottle design, I adore this scent and I think that it's a perfect choice for colder months. Classique is a feminine, romantic blend of velvety roses, rum essence and sweet vanilla. It has an interesting, slightly old-fashioned quality to it, which makes it stand out from other similar perfumes. It smells very sweet and powdery, like a bag of luxurious makeup. This is definitely worth a try if you like elegant, romantic fragrances - my boyfriend absolutely loves this one on me! Try this if you like: Classic, feminine, seductive fragrances such as Cinema by Yves Saint Laurent, or Ange ou Demon by Givenchy. I'm sure that many of you are familiar with the original The One fragrance. The Desire edition is quite similar, but sweeter and more fruity. The scent combines notes of salted caramel, fresh lychee and creamy tuberose flower; with a hint of balsamic amber lingering in the background. It honestly smells good enough to eat, whilst still being very elegant and sophisticated. Although it might be a little too heavy for casual wear, I think that it's a perfect 'going out' fragrance for colder months. Try this if you like: Sweet, delicious scents such as La Vie Est Belle by Lancome, or BonBon by Viktor & Rolf. This would be my top winter recommendation if you're looking for something exotic and unusual. 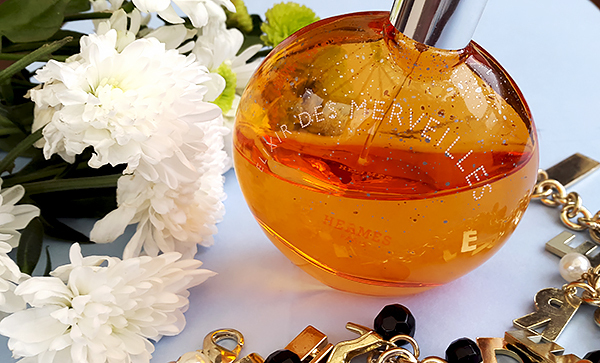 Elixir des Merveilles is a beautiful fragrance which combines notes of dried orange peel, balsamic amber, woods and salted caramel. Something about it makes me think of Christmas - perhaps it's the cedar and oakwood notes that resemble the smell of a real Christmas tree. This is definitely not for everyone, but it's worth a try if you're looking for something unique, with a slight masculine edge. Try this if you like: Unusual, mature, bittersweet perfumes such as Infusion D'Iris by Prada or Samsara by Guerlain. This is probably my favourite bottle design of all time. Shaped like a beautiful jewel, it makes me think of a precious treasure hidden at the bottom of the sea. The scent itself is absolutely delicious - combining sweet notes of warm spices and vanilla, it smells just like freshly baked cinnamon cookies! There is also a hint of zesty bergamot and bitter orange to it, which adds a little freshness to the overall composition. This is honestly one of my favourite perfumes of all time, and I can't recommend it enough - it's just so sweet, warm, cosy and delicious! Try this if you like: Sweet, delicious perfumes such as Candy by Prada or Hypnose by Lancome. Have you tried any of these perfumes? What are your favourite winter fragrances?